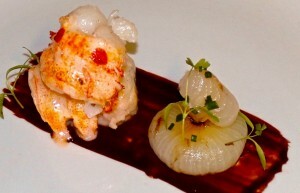 Vanilla Poached Lobster with Cippolini Onion and Port-Chocolate Sauce. Nothing says amour like chocolate on Valentine’s Day, and the Stockton Inn’s “Chocolate Decadence” Tasting Menu has cocoa in all of its variations in every course, from white chocolate to hot and spicy chili cocoa powder. 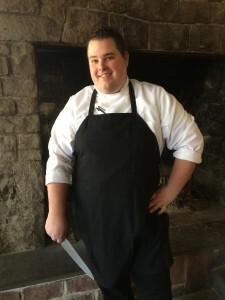 Chef Alan Heckman hopes his five-course tasting menu will help lovers who love chocolate get primed for a steamy weekend. Guests may also choose to pair each course with wine. The tasting experience is $75 per person (plus tax and gratuity) or $100 per person with wine pairings. The decadent menu will be served exclusively on Valentine’s Weekend (Friday, Feb. 12 through Sunday, Feb. 14). It will also be available, along with the Stockton Inn’s seasonal a-la-carte menu, through Sunday, Feb. 28. The Stockton Inn is located at 1 S. Main St. in Stockton, N.J.